The Creator must have loved Sta. Praxedes, Cagayan so much that He gifted her with a precious seaweed, now the toast of Northern Philippines (Porphyra acanthophora). 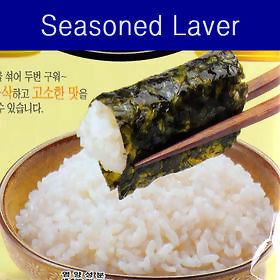 When processed, it is known as laver in English and nori in Japanese and has reached a worldwide production of 600,000 tons with an estimated value of one billion US dollar annually. For the seventh year, the town, whose name was taken from the mother of a local lawmaker, has conducted a festival named after the gamet seaweed if only to drum up interest among the general public on the economics of the product. ‘Small as we are, we have a lot of potential to spur economic development through our indigenous resources, skills and resiliency of the people,” Mayor Esterlina Aguinaldo-Ramos told a thousand people during this year’s 7th Gamet Festival held at the town’s gymnasium. A unique product of Sta. Praxedes, the seasonal, delectable and delicious seaweed only grows on the sea rocks lapped by the ice-cold waters of the China Sea during the rainy season from October to March. The Mayor revealed that the sturdy and diligent Ilocano fisherfolks of the town, during these months, would wake up in the wee hours of the cold dawn, scale up and go down the precipitous paths in the mountains to the sea to gather the seaweed. “You cling precariously on the ledges of the sea rocks while keeping wary eyes on the sea waves as now and then, a big one comes and one has to hastily scamper away so as not to suffer injuries being dashed to the rocks or washed into the open sea,” a gamet gatherer described for the media the ordeal of gathering the seaweed. Multi-awarded local scientist Dr. Evelyn Ame of the Bureau of Fisheries and Aquatic Resources region 2 who pioneeered the research on Porphyra acanthophora in the area said further studies on the species is conducted by the agency. Mayor Ramos said the risks and difficulties involved in gamet seasonal gathering and its unique savory taste somewhat demand a good price in the local market particularly in the Ilocos where it is transformed into a favorite pasalubong to balikbayans as it is a favorite paw-it to countrymen abroad. However, there is so much to be desired as far as the packaging and promotions of the product are concern. For fisheries scientist Dr. Angel Encarnacion who, like Ame, is likewise deep into the seaweed research, he advised the municality to market the product either fresh or dried. This is in contrast to the global market where the seaweed is processed into nori. “Even in Japan, they prefer the fresh or dried product where they can just dip it in hot water. That way, most of the nutrients are retained,” Encarnacion said. As to the possibility that Cagayan’s gamet can be turned into nori, Encarnacion said he is not promising anything. He claimed that Japan’s cultured species, Pophyra tenera, used in the production of nori is different from Cagayan’s porphyra acanthophora.